You are here: Home / Gift Ideas / Sam’s Club Father’s Day Gift Ideas & Giveaway! Sam’s Club Father’s Day Gift Ideas & Giveaway! 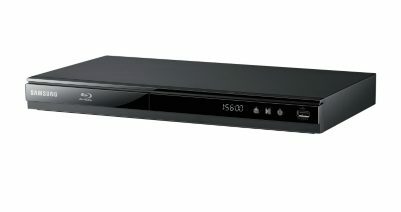 Another cool gift for the movie-loving Dad is the Samsung Smart Wi-Fi Blu-ray Player that is currently offering an additional $10 Instant Savings (Savings Valid through 6/26/12)! Loaded with cool features including TV Apps, Built-in WiFi, HDMI for superior picture and sound, and AllShare to sync your DLNA-enabled digital devices to access your music, movies and photos right on your TV from any of your other devices! This Samsung Blu-ray player is just $88.87 after instant savings. I’m excited to share this Blu-ray player with my husband for Father’s Day as we love movies and I know he’ll appreciate the picture quality of a Blu-ray player over our old DVD player to make our movie watching that much more enjoyable! Did you know that Sam’s Club members can get free tech support on any electronics item, even if they did not purchase the item at a Sam’s Club location? Visit SamsClub.com/electronics to learn more. Browse Sam’s Club this weekend and pick-up that last minute Father’s Day gift before it’s too late! What’s on your spouse or father’s wishlist this Father’s Day? Disclosure: I received a Blu-ray player as a thanks for this post. I was not compensated in any other manner. The opinions expressed above are my own and any claims should be verified on the sponsor’s site. Previous Post: « Breakfast Casserole Recipe! I would like a gas grill but hubby would like it charcoal. My husband would like Hybrid Grill Infrared, Propane Gas and Charcoal Cooking system. Hello, how are you? Thank you for this opportunity. The box of Hersheys chocolate bars and the grill are great gifts. He would love the Red king crab legs. He just commented the other day how you just can’t get king crab legs hardly anymore. The Maverick Power Recliner looks like a great gift for my kids to get for their Dad. Ultra Heavy-Duty 12-Drawer Rolling Workbench to hold them would be good. A gas grill would be nice! The vizio 65″ 1080p television would make a great dad’s day gift. My dad would probably like one of those cameras! My dad would like a camcorder to take videos of his granddaughter. definitely a blu ray player! He would love the Garmin nüvi 2555LMT 5″ GPS! The Wine Country Godiva gift basket would make a great gift. now that summers here i could sure use a new gas grill!!! Hybrid Grill Infrared, Propane Gas and Charcoal Cooking System would be an amazing gift! Dad would love one of their Samsung televisions! The Stainless steel Fire Bowl!!! The 65″ VIZIO VIA Edge Lit Razor 3D LED LCD 1080p 120Hz HDTV w/ Wi-Fi would make a great gift. The 47″ VIZIO VIA Razor 3D Edge Lit LED LCD 1080p 240Hz SPS HDTV would be awesome. A new TV would be perfect! A new grill would be great! I’d like to get him a Sony television. Invicta Specialty Sport Men’s Watch – Stainless Steel Dial with White Face would make a great gift.JustCoupons(at)Triad.rr.comRafflecopter name Just C.
A GPS unit…my husband is directionally-impaired. Maverick Power Recliner would make a GREAT gift for Dad! I think the ASUS X53E Laptop Intel Pentium B960, 320GB, 15.6″ – Red would make a great Father’s Day gift. thank you! We love Sam’s Club, and although they have some great electronics and things, my husband would love some of those 32 count Brownie Bites they carry! for my husband this would be the perfect gift Masterbuilt Electric Smoker with Window he loves to smoke things and set them on fire! Dad would love a Samsung TV. He would love the Nascar Racing Experience! The 8″ VIZIO Wi-Fi Touchscreen tablet would make a great gift. Grove Square Spiced Apple Cider K Cups. He asked for these. I know he would love this! iPad = great Father’s Day gift! Dad would love this – Galaxy Nexus phone. Maverick Power Recliner would make a great gift. Visit Sam’s Club and leave a comment with something they carry that would make a great gift for Dad! Thomasville Special Additions Recliner and Ottoman would be great. my dad would love this- Montero Swivel Bar Stool – 29″! The Jenn-Air Propane Gas Grill would make a great gift. 46″ Samsung LED 1080p CMR 120 HDTV. This would make a great Father’s Day gift! My dad would enjoy a big screen tv.He’s going to retire soon so I wish I could afford to buy him one. Thanks for the awesome giveaway! New tires for his truck! They have his favorite snack mix there! The Asus Transformer tablet would be a great gift for dad. Thanks Janel! My husband would love a Wii! Honestly, my husbands favorite thing that they carry is beef jerky and almonds. He’d be in heaven with a few bags of each. Honestly new tires for his SUV. An iPad would be a great gift! My husband would love a new TV. I like their Canon SX 40 digital camera as a gift. A 26 Inch Mantis Raptor Bicycle for Men would make a great gift for Dad! My husband would love a new grill! Love the tablets, especially the Asus Transformer TF300T Tablet! He would love a grill! A grill or keurig is on dad’s list. I think the link below would be perfect for father’s day in my house!